Pilgrim in Process. Univ. of San Diego Law. Retired Compassion Intern + Michigan State Tracklete. Novi HS Alumnus. Author of Four Years, Two Roads. Aspirant Polyglot. 완전히 틀린말이라고 전혀 할 수는 없다. 이 지난 3년 동안 자주 들었던 말이다. 하지만 이런 말을 들었을 때 마음은 늘 착잡했다. 나는 2014년 8월 24일에 인천 공항에 도착했다. 처음으로 모국을 방문하는 것은 아니었다. 하지만 내 인생 처음으로 장기적으로 한국에 머물 수 있는 기회였다. 사랑스러운 친할머니와 큰 고모가 공항에서 나를 반갑게 마중 나와 주셨던 기억이 오늘까지도 생생하다. 한국 도착 바로 다음 날 연세대학교에서 나의 한국 생활이 비로소 시작되었다. 나는 거의 평생을 해외에서 자라면서 한국 문화나 한국 사람에 대해 궁금했던 것 들을 직접 몸으로 체험하기시작했다. 원래 아버지가 석사까지 공부하신 연대에서 교환 학생 과정을 마치고 미국으로 돌아갈 예정이었는데, 이제 벌써 대학교를 졸업한지 2년이 확 지나가 버렸다. 그런데 아직 나는 한국에 머물고 있다. 오늘 오후 2:40에 거의 만 3년 전에 도착했던 인천공항에서 비행기를 타고 미국으로 돌아갈거다. “출국”이라고 해야 할지 아니면 “귀국”이라고 하는 게 더 마땅한지 나도 잘 모르겠다. 나는 1993년에 대한민국에서 태어났다. 두 살이었을 때 아버지가 박사 학위 공부 관계로 아빠를 따라 영국으로 갔다. 아버님이 미국에서 직장을 갖게 돼서 결국 미국에서 미시간 주립대학교 3학년 까지 거기에서 자랐다. 그리고 고등학교 졸업하기 직전에 초록색 한국 여권이 흰머리 독수리로 조각된 미국 여권으로 바뀌었다. 심지어 내 이름을 더 미국스러운 느낌인 “Derek”으로 공식적으로 정해졌다. 그 당시에는 내가 더 미국스러운 이름을 원했던 핑계로 이름을 바꾸고 싶다고 했지만, 실제 이유는 선생님들, 의사들, 학우들 등등 항상 한국어 로마자 이름 “Kunhee”를 항상 틀리게 쓰고 발음하는 것을 난 더 이상 참지 못하고 그것이 때때로 몹시 부끄러웠다. 즉 나의 정체성에 대해서 많이 회의가 들었기 때문이었다. 그리고 그 회의감이 나를 지금 스물 다섯의 나이에 나를 한국에 머물게 한 이유인지도 모르겠다. 저는 사실 미국에서 비교적 잘 성장했고 그 나라의 기회를 많이 향유할 수 있었다. 미국에 사는 현지인들과 잘 안 어울렸거나 인종차별을 많이 당했다는 이유로 이 글을 작성하는 것은 결코 아니다. 지나치게 나의 자랑을 하는 것이 될 수도 있겠지만 나는 고등학교 시절 육상 110m 허들 종목에서 전미 선수권을 땄으며, 미국식 동창회 “홈커밍” (Homecoming) 행사에서 전교생 투표에 의거하여 두번이나 홈커밍 킹으로 뽑히는 영광을 누렸었다. 그리고 미시간 주립대학교에 가서 육상 선수 출전까지도 했었다. 내가 미국에서 자라면사 왕따였다고는 말할 근거는 전혀 없다. 하지만 그 모든 영광과 성취 가운데 내 마음속에서는 여전히 나의 정체성에 대한 회의감이 그대로 남아 있었다. 실제 “나”는 “건희”인가? 아니면 “Derek”인가? 내가 미국 생활하면서 어떤 성공을 취득하면 나의 한국 사람인 부분이 점점 사라지는 것인가? 나의 사고방식이 다르고 성장 배경이 다른 탓에 나는 결국 “진정한” 한국 사람이 절대로 될 수 없는 것인가? 내가 한가지 발견한 것은, 외로움이란 게 주변에 사람들이 수적으로 많은가 적은가에 달려 있지 않다는 사실이다. 한국에서 다행히 늘 내 주변에 좋은 사람들이 많았다. 하지만 여기 한국에서 살면서 느꼈던 것 만큼 외로웠던 적은 없었던 것 같다. 막상 한국이라는 현실을 부딪혔기 때문이다. 일생 처음으로 첫 인상에 나는 “외국인”이 아니었다. 주변 사람들과 외모가 똑같다. 같은 언어를 사용한다. 즉 난생 처음으로 어느 집단에 속한 것이다. 하지만 완전히 그 집단에 소속될 수 없다는 현실을 나는 금방 발견할 수 있었다. 겉으로는 한국 사람들 속에 있는 집단에 속해 있는 듯 했지만, 그와 동시에 그 집단에 나는 완전히 소속될 수 없었다. 내가 비록 내 주변 사람들과 똑같이 생겼고 첫눈에는 많이 다르지 않다고 생각하겠지만. 내가 막상 입을 벌린 후 주변 사람들과 얘기하기 시작하면 나는 너무 다르게 보인다. 나의 말투 혹은 사고방식을 파악한 후 주변 사람들은 내가 토종 한국 사람이 아니라는 사실을 분명히 인식한다. 영어로 표현해 “so close yet so far”란 느낌이다. 우리 나라 사람들의 표현을 빌면 한국은 내가 느끼기에 “가장 가깝고도 가장 먼” 나라였다. 한국에서 생활하면서 나는 이런 스트레스를 풀기 위해 자주 산책을 했다. 고민으로 가득찬 마음으로 서울의 여러 도로를 밟았다. 내가 여러번 밟았던 한강, 불광천, 안국 한옥마을 어디든 그 가운데에서 나는 비로소 스스로 깨달았다. 한국인 아니면 미국인. “Derek” 아니면 “건희”. 이런 양자택일은 고민하지 안 해도 된다. 내가 완전히 속하는 나라는 아마 없을 것이다. 저자가 수수께끼나 역설을 지을 때 좀 눈에 띄어야 많은 사람들이 이제 마땅히 수수께끼나 역설이라고 인정할 수 있을 것이다. 그게 나의 파라다임이라고 생각한다. 나는 완전히 한국 사람이나 미국 사람이라고 안 해도 된다. 어느 한 가지 신분을 정의하는 것이 결국 헛수고가 될 수도 있다. 대략 여섯 시간 이후에 미국행 비행기를 탈 예정이다. 비행기가 이륙하고 창문 밖에서 한국이 점점 더 멀어지면서 지난 만 3년의 시간이 점점 현실보다 추억으로 변해 갈 것이다. 그럼에도 불구하고 나는 여전히 마음속에서는 확실히 알고 있을 것이다. 내가 이제 미국 사회로 또 진입하면서 나의 존재의 근본은 여전히 한국인이라는 사실이다. 특색이 있는 뿐인다. 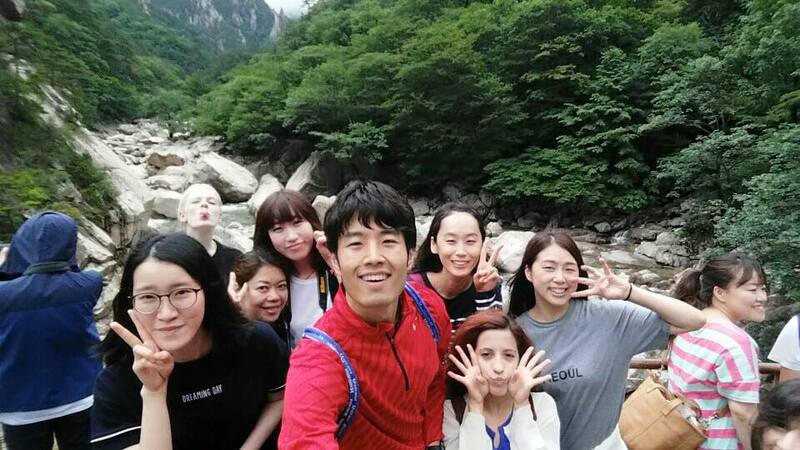 나의 모국은 여전히 한국이면서, 동시에 이 나라, “우리” 나라에서 나를 발견 했다: 한국 사람이나 미국 사람이 되기를 위해 노력하기 보다 내가 서 있는 틈 가운데에 그냥 서 있으면 된다. 그 사이에 담대히 서 있으면 되는 것이다. In a certain land, 24. In another, 23. A lifetime paradigm of sorts. Puzzle, even paradox, considered. All cumulates to its Genesis. Mother Father as cast iron. Friendship closer than kinship. Simplicity in Truth. Truth is simple. All in the Book of Wisdom. Yet beneath lies a crevasse unseen. Assimilating at last, yet feeling more distant than ever. Distance cries its lies. Fresh manifestations of a familiar vice. But Moses, Paul, they too, fretted, says that closer-than-brethren friend. Mysterious seasons as yours are rare not. Thus fear not. I turn back to the Book. The Author orchestrates, I see; Tuning and trying, for utility. So I do see, slightly clearer, reality is no paradox, if I only perceive. It took a familiar foreign place, to see, there is a dwelling pasture, peace abundant. I do perceive. Less a paradox, but beneath my feet: Stability. Seeing and savoring this on 23. Special thanks to Lynnae Supplee for her revisions. 내 여권 속에는 휘날리는 성조기를 볼 수 있다. 하지만 내 마음 속에는 한국에 대한 애국심으로 가득차 있다. 미국을 떠나 한국에 와서 약 일년 동안 한국어를 배우게 된 기회는 나에게 참 소중한 시간이었다. 그런데 연세 한국어 학당에서 한국어를 공부하면 할수록 깨닫게 되는 놀라운 사실이 있었다. 그것은 한국어, 즉 우리 나라 말의 독특함과 한글의 우수성이다. 나는 지난 한 해 동안 한국어에 몰두했다. 일주일에 20 시간을 한국어 공부에 시간을 투자하였다. 그리고 수업 시간에 나의 왼쪽과 오른쪽에 앉아 있는 친구들은 전 세계 여러 나라에서 한국어를 배우기 위해 찾아온 사람들이다. 정말로 한국어가 지구상의 모든 나라에 확산되고 있음을 느낀다. 뿐만 아니라 한국에서 한국어를 통해서 세계 여러 나라에서 온 친구들과 의사 소통을 하고 서로의 생각을 한국어로 표현하고 나누고 하는 것이 가능해 지면서 세계를 바라보는 시각이 좀 달라지게 되었다. 우리 나라의 말과 한글이 나의 세계관과 나의 인간 관계를 확장하고 발전시키는데 큰 도움을 주어서 아주 뿌듯할 따름이다. 오늘날 한국 사람들이 자랑스럽게 사용하는 표현 “우리 나라” 말은 예전과 달리 세계 여러 나라 사람들에게 조금씩 통용되는 언어가 되어 가고 있다. 지난 한 해 동안 나는 이런 현실을 매일 피부로 느낄 수 있었다. 언어란 과연 무엇인가 생각해 본 적이 있는가? 언어를 배우는 목적은 한 마디로 의사소통이라고 하지만 내가 생각하는 것은 이 보다 훨씬 크다. 언어는 한 민족의 독특성을 표현하는 하나의 문화이다. 언어는 다른 나라 사람들에게 어느 한 나라 사람들의 본질과 속성을 발견하게 하는 일종의 매개체와 같은 것이다. 또한 언어는 한 국가의 다양하고 복잡한 문화적인 현상을 포괄하는 시대의 흐름이다. 한 언어를 아는 것은 한 사람에게 대단한 기회를 제공해 준다. 자기의 영향력을 확장할 수 있는 수단을 갖게 해 주는 것이다. 현재 세상에서 언어는 단지 의사소통 뿐만 아니라 전혀 다른 국가들 사이에 교류를 위한 다리를 만들어 준다. 언어는 상호 보완을 해 주기도 한다. 우리 나라의 말이 전 세계에 확산되면 확장될수록 우리는 우리의 영향력을 세계 여러 지역에 미칠 수 있게 된다. 나는 날마다 문법, 한자성어, 관용어 등을 여러 나라에서 온 친구들과 함께 배우는 동안 내가 지금 있는 이 작은 교실이 지구의 축소판이라는 생각을 하게 되었다. 그리고 한 언어를 통해서 문화적 배경이 다른 나라의 사람들과 소통하고 하나의 공동체를 이룰 수 있음을 배웠다. 당신은 언어에 대한 경이로움을 느껴 본 적이 있는가? 더구나 한국어는 대단히 특이한 말이다. 자음과 모음이 합쳐저서 새로운 글자가 만들어진다. 한국어에서 자음과 모음이 합쳐져 새로운 글자가 만들어지듯이 세계 여러 나라의 친구들이 함께 모여 한글을 배우면서 새로운 공감대와 정서가 형성되었다. 나는 어학당 친구들에게 지금 이 시간까지 함께 해준 것에 대해 감사드리고 싶다. 그리고 날마다 우리 꿈을 이룰 수 있도록 도와주신 선생님들께도 감사드린다. 한국어는 한반도에서만 통용되는 의사소통의 수단이 아니다. 한국어는 세계 여러 나라 사람들이 모두 공유하는 하나의 공감대와 정서를 형성하는데 도움이 될 수 있는 귀한 문화적 매개체이다. You could say this is by popular request, but I don’t want to sound arrogant! Your time is valuable, and so is mine. Which is why bullet points is my weapon of choice. 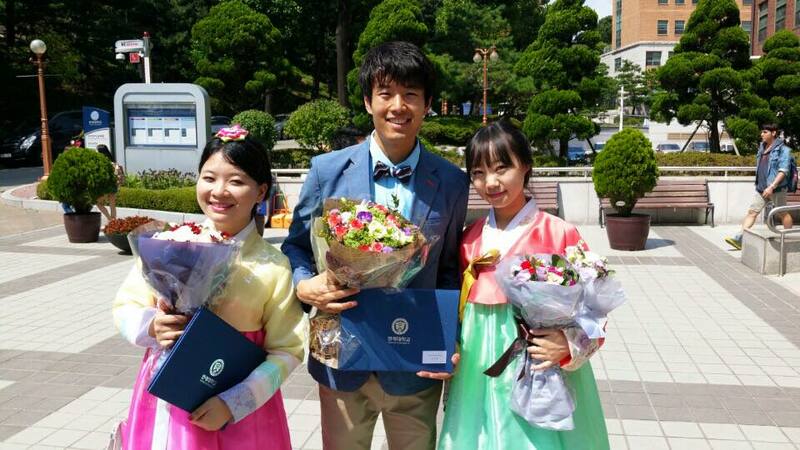 After a fabulous summer interning at Compassion International, I flew in to Incheon International on Aug. 24. 2014 to begin my last semester of undergraduate studies (Michigan State University) at my father’s alma mater, Yonsei University on a study abroad program. 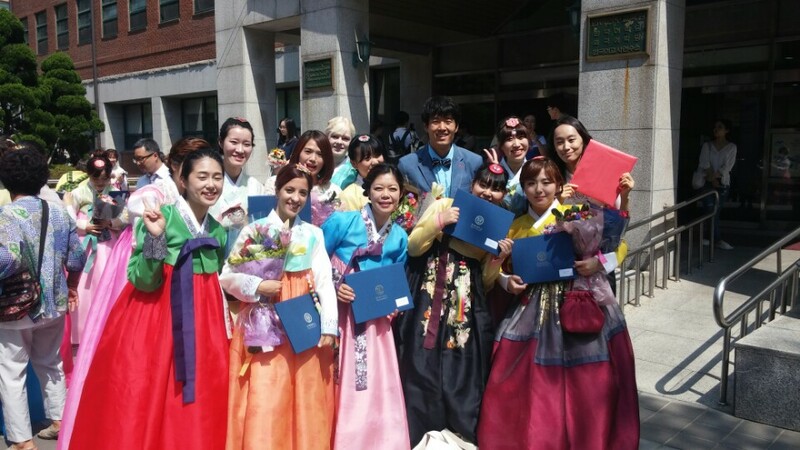 My mom graduated from Ewha Women’s University just across the road from Yonsei. Fate, perhaps? 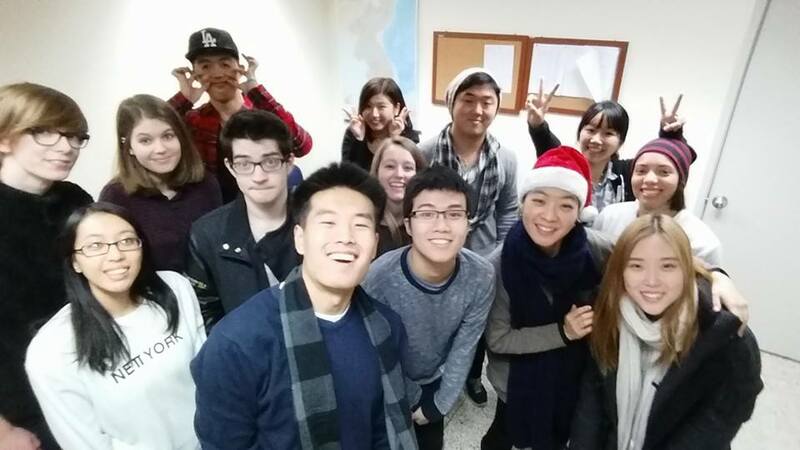 My first semester Korean class! I graduated! Woohoo! Again, no PSA on Facebook, my apologies. Nevertheless I am a graduate of Michigan State University with a Bachelors of Arts in Journalism with a concentration in International News and a Religious Studies minor with a focus in Islam. Law school is the next step for me. And the stepping stone is the Law School Admittance Test, more commonly referred to as the LSAT. 170 is the goal. Aside from a rigorous private study schedule, I am also attending Korea’s infamous 학원s or “hagwons” roughly translated to private educational institutions. 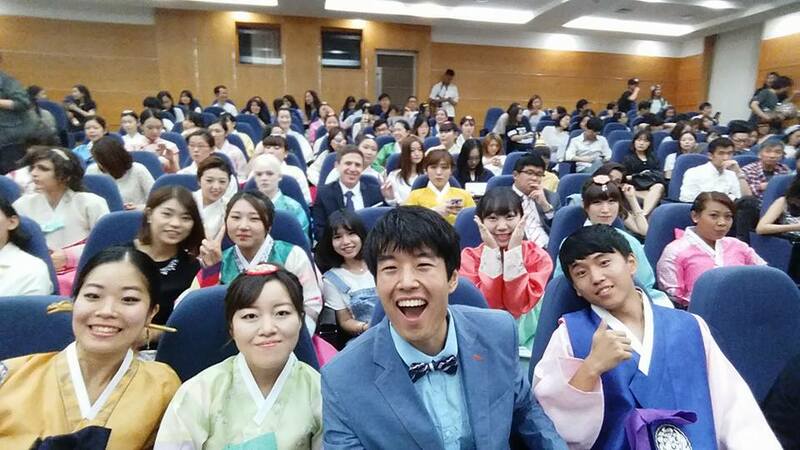 If you have been enlightened to the boiling pot known as South Korea’s education system, you will know what i am talking about. So until I begin my graduate studies, I will remain in Korea to study my native language (also at Yonsei University), and also Chinese. International law is what I plan on studying. For that to be manifested to its fullest potential, fluency in multiple languages seems necessary. Select a book for each of the 13 categories. 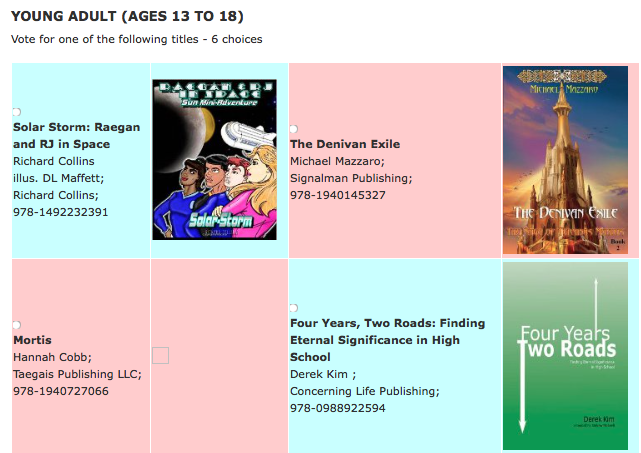 Four Years, Two Roads under the Young Adult category, please. Fight discouragement and the devil by singing to the the Lord. What comes forth from our mouths when we sing reveals our affection, or lack of, for God. If humans are made in God’s Image, then differences in culture, personality, skill set reveal something unique about God’s character and being. In other words there is no such thing as an uninteresting person. (VIDEO) Vote for Four Years, Two Roads! Only a few days left to vote for Four Years, Two Roads in the CSPA Book of the Year Award! What a grace it would be if you would pass this video on to friends, family, neighbors, barbers, students, teachers, pastors, or pediatricians to encourage them to vote! 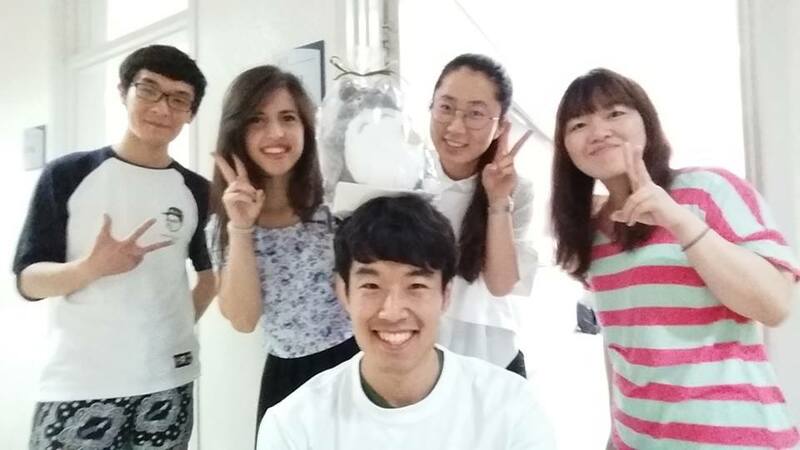 Especially if they are fluent in Japanese, French, Korean, or Chinese! Author Derek Kunhee Kim (김건희/金健熙)Posted on February 28, 2015 2 Comments on (VIDEO) Vote for Four Years, Two Roads! This was part of the Gospel-passion behind William Carey, an English Protestant missionary and Baptist minister, who God used to ignite much of what is the Christian presence in America today. One of the “great thing(s)” I attempted was this book called, Four Years, Two Roads: Finding Eternal Signficance in High School. It was published February of last year. I can sum the book’s premise like this. God saved me from my sins and hell in 7th grade. He poured blessings into my life during my high school years (Homecoming King, All-American in track and field to name two). Although a Christ-centered life is difficult as a student, it is the road of no regrets. More than that, on the “narrow road” is the eternal satisfaction we long for as human beings. We were made to be satisfied in God. So I decided to write something to encourage those who would now venture down that same road known as your high school years. You can find that encouragement now on Amazon or at your local bookstore. narrow road and to live for Christ wholeheartedly. sound and a great tool for high schoolers and beyond! 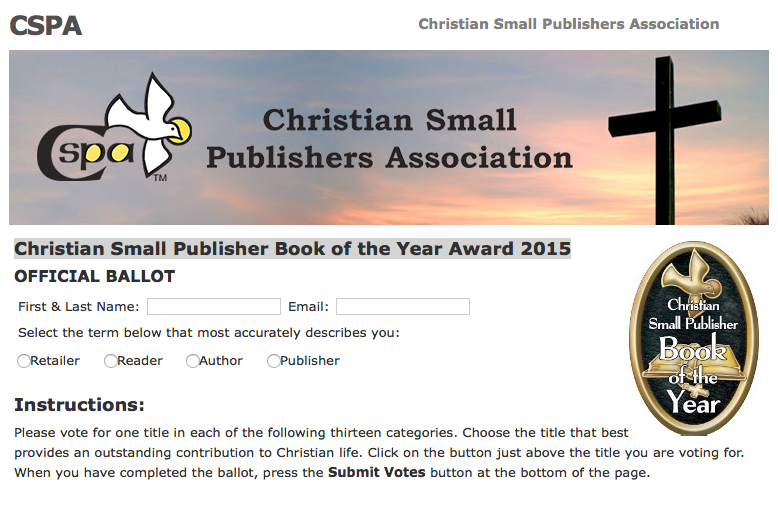 I received news last month that my book had been nominated for the Christian Small Publisher Book of the Year Award 2015. Now I ask for your help. With one week left to vote, would you be willing to spare 1 or 2 minutes and vote for Four Years, Two Roads? Maybe pass it on to a friend, cubicle partner, or neighbor down the road? What a grace this would be. Thank you in advance! For those who want more information about Four Years, Two Roads, check out the book trailer below. And what do Kirk Cousins, Miss America Kirsten Haglund, Rachel Chan, and others have to say about my book? 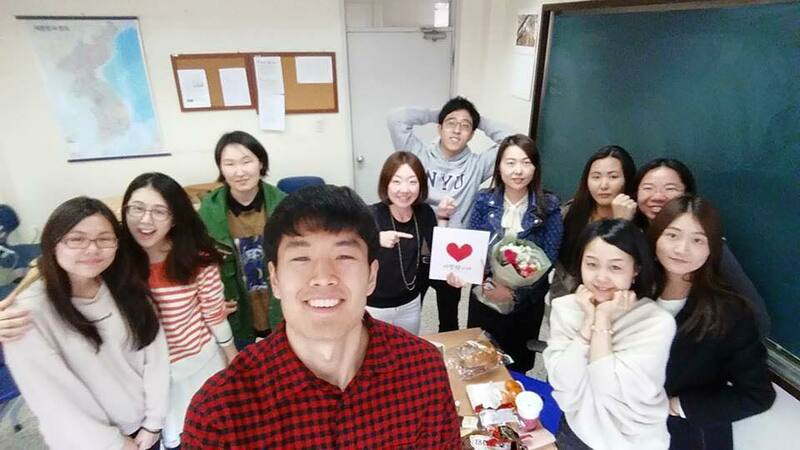 This past week was midterm week at Yonsei. It was also the week my body contracted a mysterious stomach virus that left me bedridden and sent me to the hospital, unable to study with the effort required to achieve the Christ-glorifying results I endeavor toward. Not exactly the best timing, right? 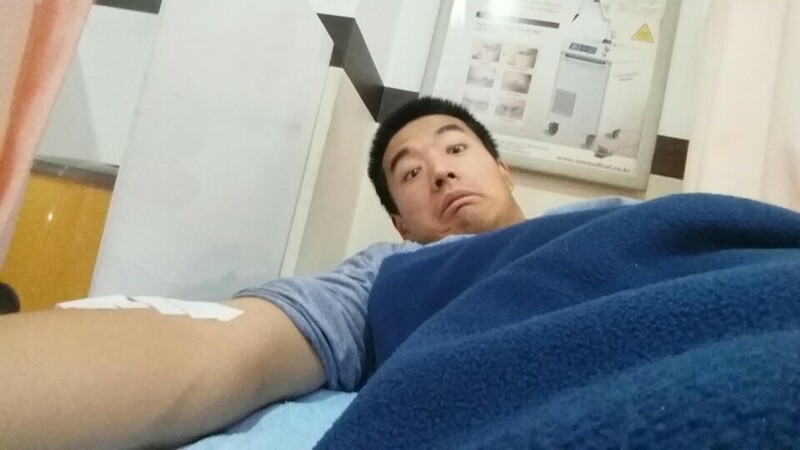 Midterms shouldn’t mean IVs. but they did this time around! So I waged war against all negative, pessimistic thoughts by memorizing this verse in my native tongue. And it proved to be a great weapon in the fight against doubt, anger, and frustration. Hmm, that sounds familiar. Sword, spirit. Click below to receive notifications of new posts by email. You won't regret it. I promise. Derek Kunhee Kim (김건희 金健熙) Blog at WordPress.com.